This 20 minute recipe is perfect for the busy midweek when you don’t have much time for cooking. Make a quick salad and your menu will be ready! In a small bowl combine the garlic, olive oil, lemon juice and wine. 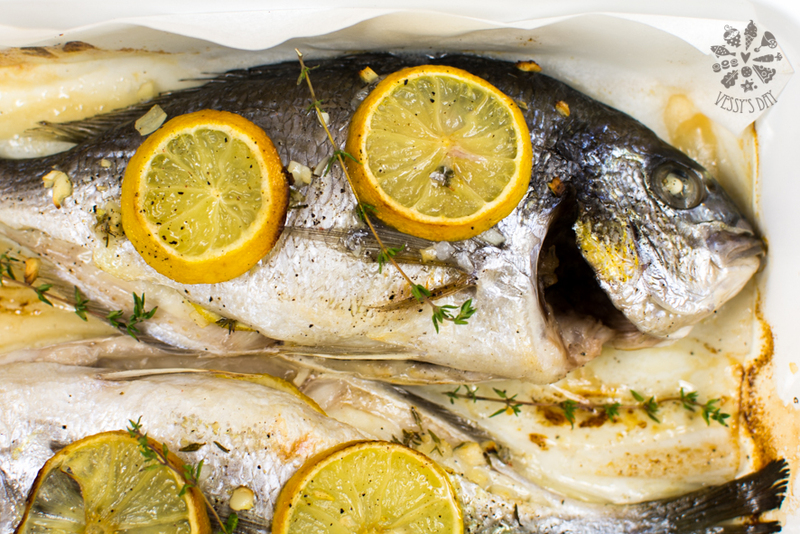 Rub both sea breams with the wine-olive oil mixture, place them in the baking dish and pour the left over wine mixture on top. Place 2 lemon slices inside each fish and two lemon slices on top of each fish. 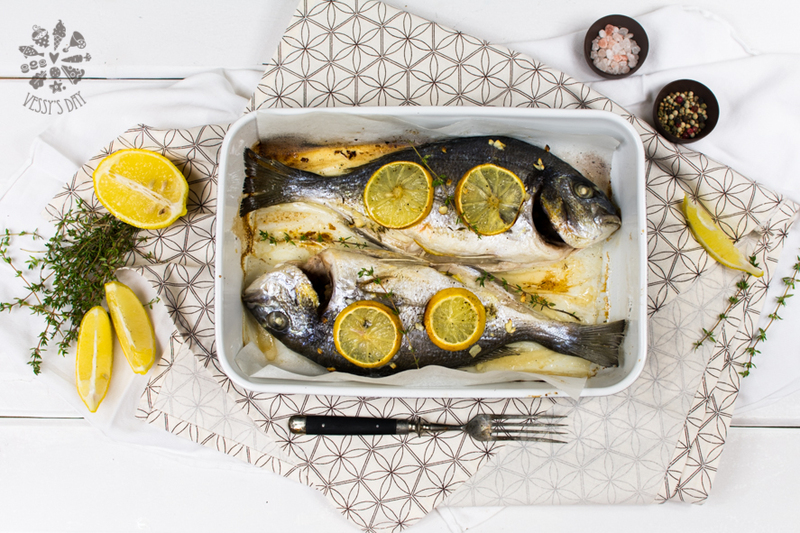 Season with salt, pepper and thyme (place a piece of thyme inside each fish).